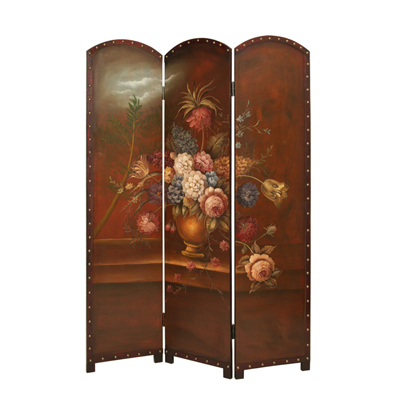 Create the illusions of beauty and home garden freshness with our Painted Floral Bouquet Screen. 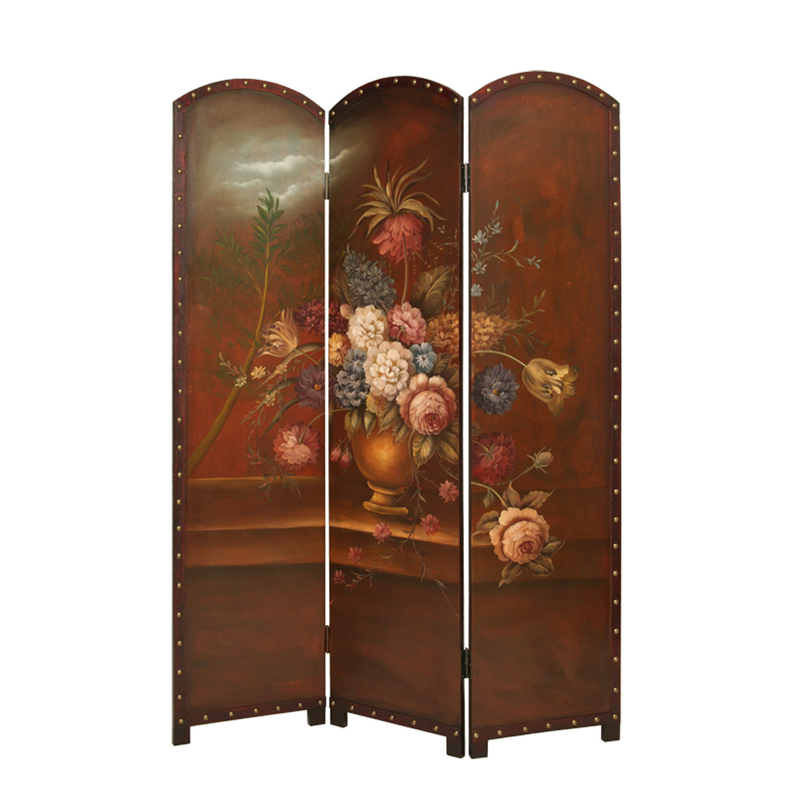 It has detailed hand painted oil artwork on one side of a lush bouquet of flowers on a wooden table that brings into your home the sweet and fresh feel of elegance. The back is a solid wood brown panel. This beauty is trimmed with antique brass nail heads.